Of course, we have all shopped at Bed, Bath & Beyond at one point or another! 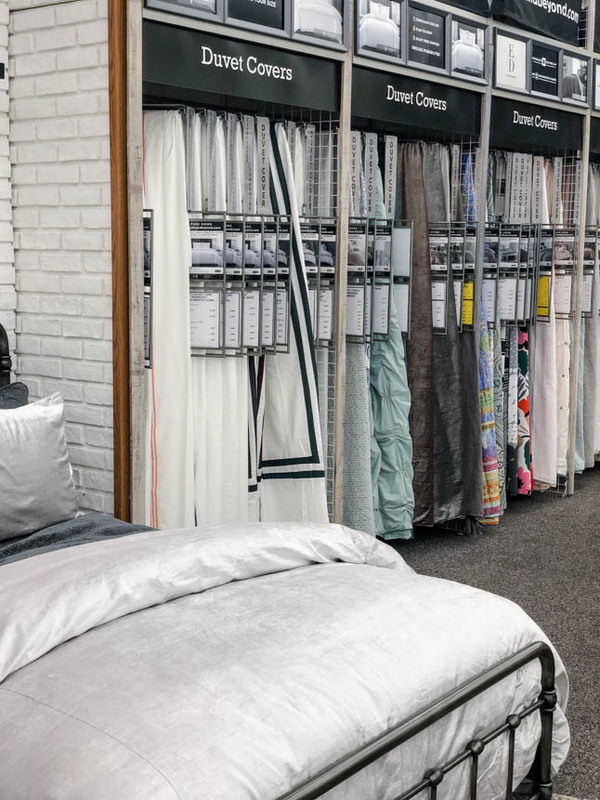 Anytime we need anything from bedding, bathroom stuff, home appliances, or really anything home related, that is our go-to spot! We remember when we were moving a couple years ago, we practically lived at Bed Bath & Beyond. 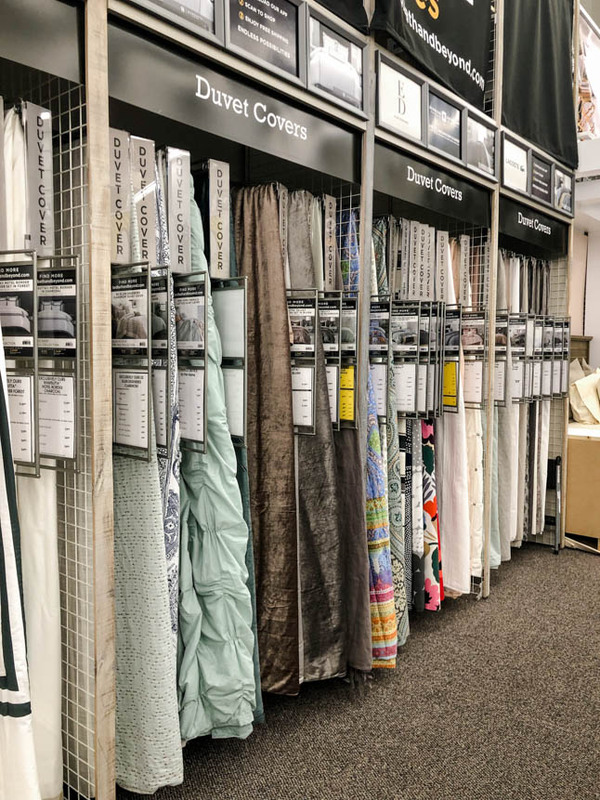 We popped into one of their newer store concepts in Plano, and wanted to share how cool it is. We had too much fun browsing and shopping around! 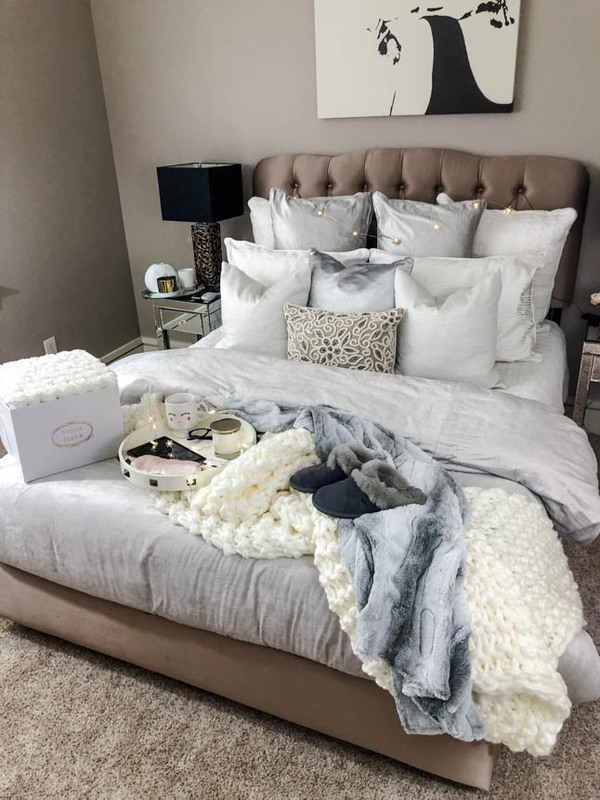 The store in Plano, Texas has all of their usual products that you’d find there, BUT, they have some additional fun sections: seasonal decor, decorative furnishings, treasure hunt and deep-value merchandise (pieces that are harder to find and unique! ), food and beverages (like you’d find at World Market), and health and beauty care. 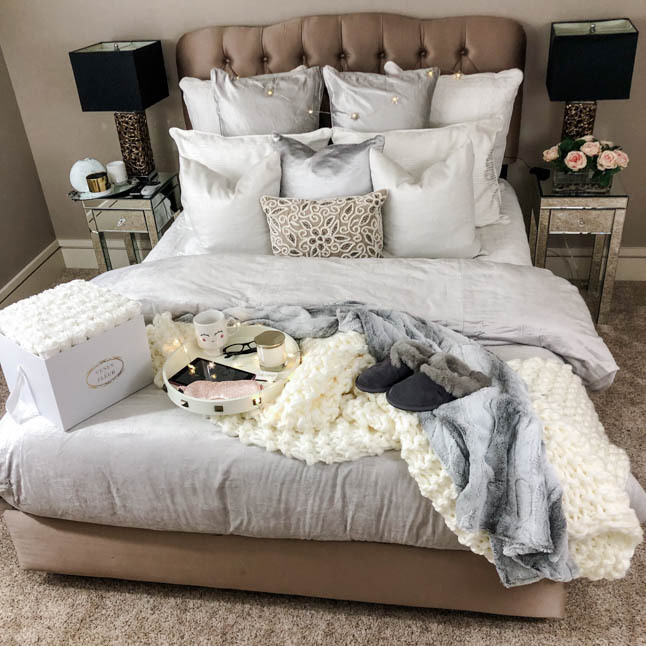 We actually weren’t planning on updating one of our bedrooms, but when we saw their newer display of bedding and duvets, we fell in love with this velvet duvet (see the bottom of this post to see how we styled it!). What is so cool about their newer bedding area is that you can actually see what you’re buying before you do! They have them all set up so you can take them down and put them on the beds there to see how they look. 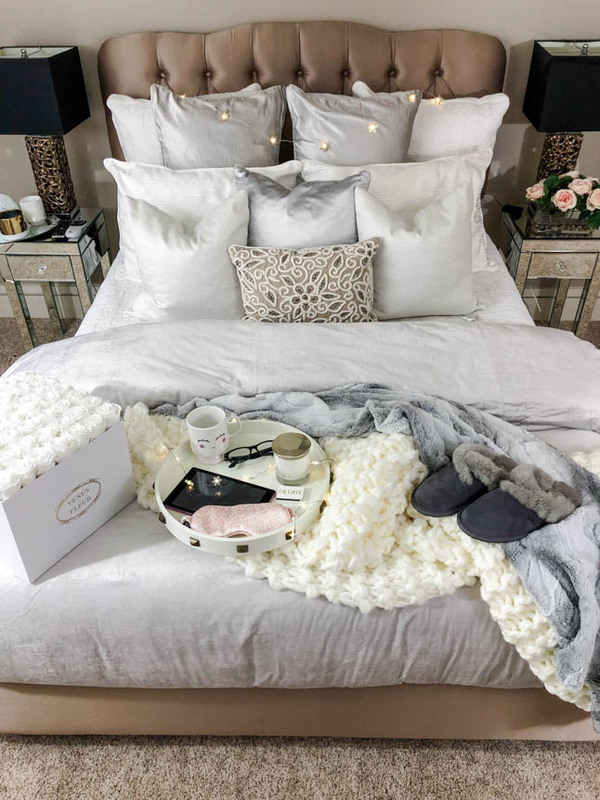 What is also great for them is that they can show so many more duvets for customers, without having to carry so much inventory in the store! You can get it delivered straight to your house right after you buy it in store. If you’re not a coffee drinker, chances are someone who is close to you is 😉 We don’t know about y’all, but we don’t want to spend a ton of money on a brand new coffee maker without being able to try it out first. 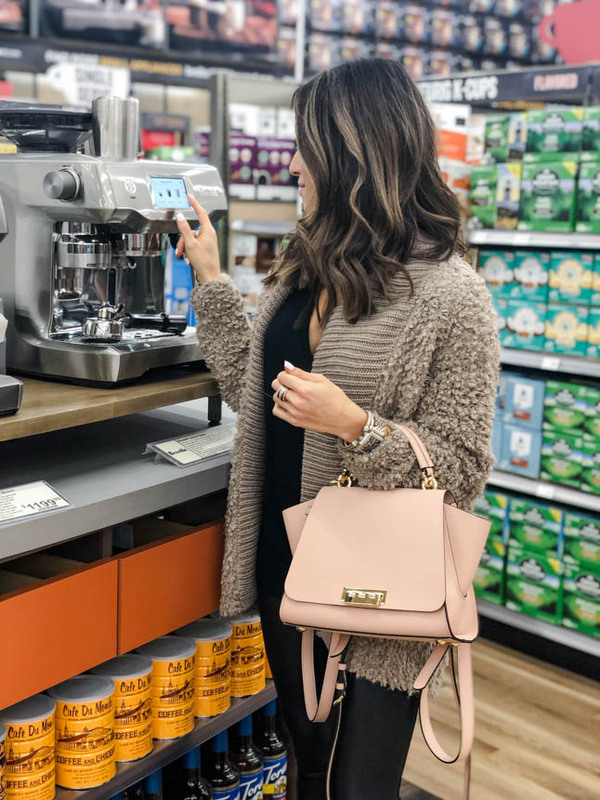 At Bed Bath & Beyond, you can actually test out all of the coffee makers they have! This Breville one was SO neat! They also have an area where you can sample some Keurig K-cups before buying! This is a total game-changer! Nobody wants to buy a whole new box of cups, only to find out you hate the taste of them. Another really fun section of their store is the “treasure hunt” area. This area reminds of us what you’d find at an upscale flea market as in the pieces are unique, from all over the world, and there is only one, so you have to “buy it before it is gone”. 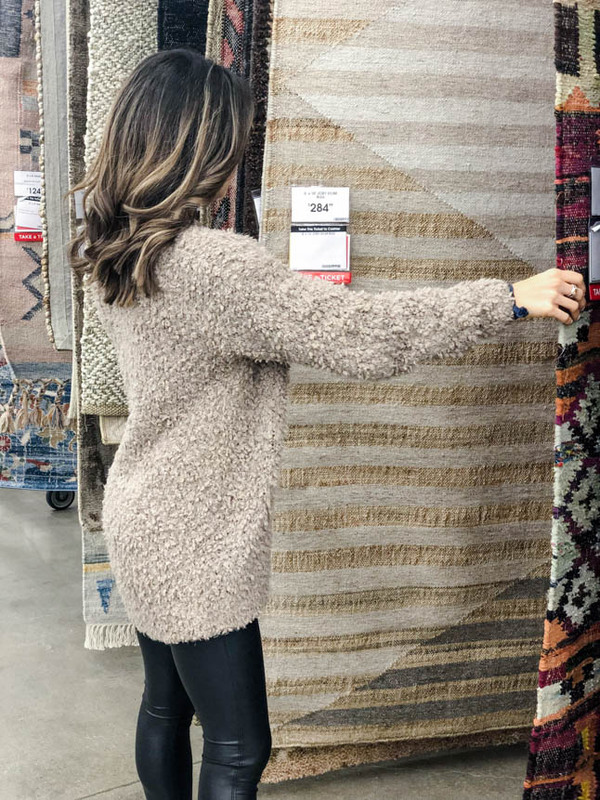 We saw some really cool rugs, office chairs, throw blankets, and more! They also have a section where you can purchase alcohol and food! 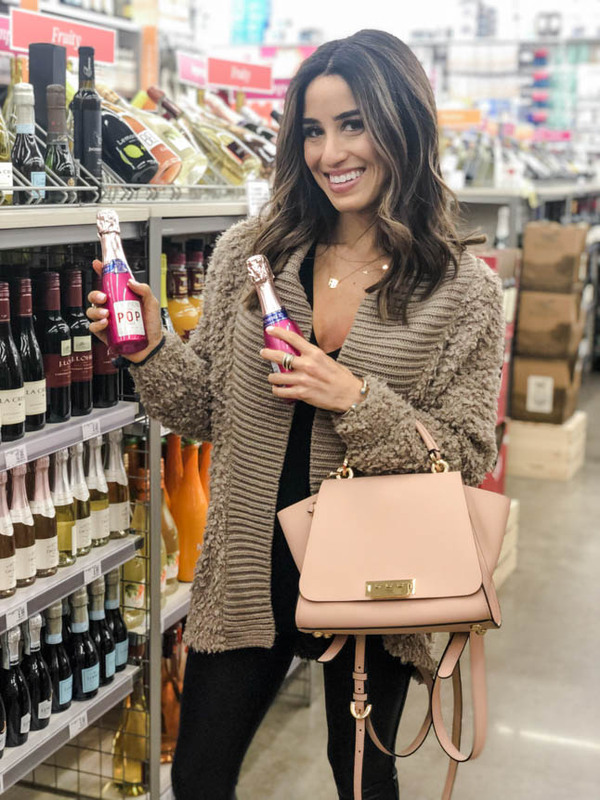 So convenient, especially for get togethers and NYE and other holidays! 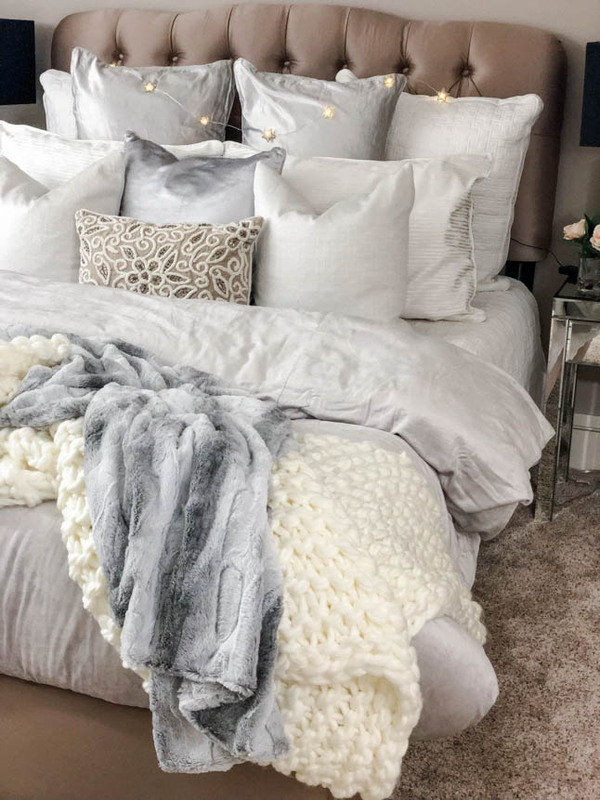 We styled this grey velvet duvet (OBSESSED) that we saw in the store! We got it shipped to us (free shipping), so it was a no brainer. We chose the “stone” color and also got the throw pillow to go with it. We added a white quilt underneath and some white throw pillows! 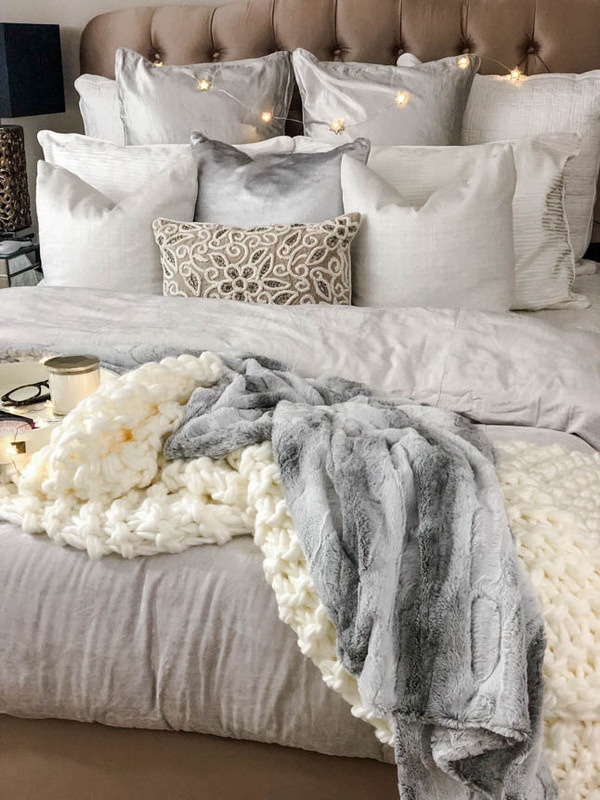 We found this grey faux fur blanket and this knitted cozy one there, too! We love how it all came together! They seriously have the BEST stuff! In partnership with Bed Bath & Beyond.